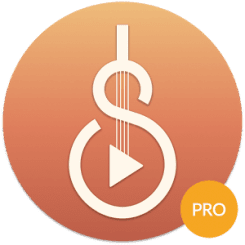 This is the PREMIUM version of our free app Solo Music Player. (All features are same as of now except that it's ad-free) We encourage you to try the free version before purchasing this one. Solo Music player is a beautiful & minimalist audio player designed with great care, keeping a man’s aesthetic needs in mind. It's absolutely free and yet the most beautiful and elegant audio player in the market, featuring an engaging interface and a vintage yet modern design. It doesn’t only make your music “sound” good with a powerful equalizer but the vintage style design also make it “look” good. Solo Music Player doesn’t confuse you with useless options but focuses on music playback in a minimalist way. But do not assume a minimalist design means fewer features. It’s loaded with all the features a music lover would need like powerful equalizer, bass booster etc. And we keep adding many more. • Beautiful and minimalist design with a vintage feel. • Browse music thorough various options like albums, artists, folders etc. • Search songs, albums & artists. • Create, save, rename your playlist. • Remove songs from playlist or re-arrange them whenever you want. • Elegant player interface with all functionality like repeat, shuffle, save etc. • Amazingly powerful & beautiful Equalizer with many default presets & support for custom presets. • Supports .mp3, .flac, .wav, .ogg formats and many more. This minimalist audio player is the end of your life long search for the perfect music player. Give your music a new soul with it's gorgeous looks & powerful equalizer. Every app needs some permissions to run. We believe in transparency and want our users to know which ones we need and why? - these are needed to notify you of new updates, if you opt-in for that (can be disabled from settings). Solo music player is still in Beta & under constant development. If you find any bug or face any issue while using it, please let us know either through the in-app feedback form or send us an e-mail on the below mentioned id. We request you to please give us a chance to fix your problem before you decide to leave us a bad review. NOTE: This is just an audio player to play your local audio files. This is NOT a service to help you download music. Also this is a stand-alone version and you can Uninstall the FREE version once you install this. All images used in screenshots & the app are either in public domain or have been purchased from Shutterstock under their standard license. If you have any queries or issues pertaining to the images used, please contact us on the mentioned e-mail id. Please note that any song/artist’s/album’s image/name that might have been used in the screenshots are just for the purpose of representation and has been chosen randomly. This app is in no way associated with any of them.